Live Love and Laugh to your hearts content this holiday season with this joyous bracelet. 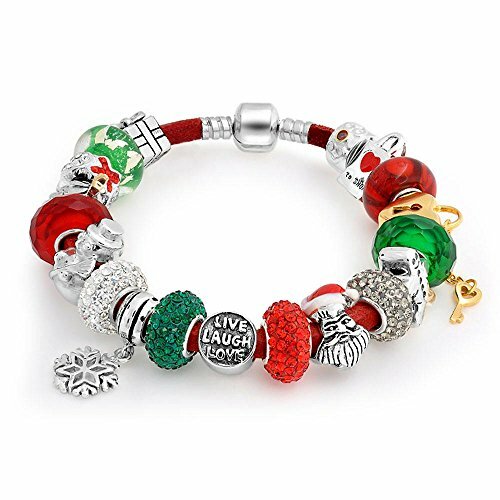 The story of Christmas spirit and love is told along a polished snake chain with adorable charms and beads that include crystal in vibrant Christmas colors, a snowman, Santa Claus, snowman, and more to give this bracelet unique charm. Share these bracelets with loved ones on your holiday list and express your yourself with these sterling silver bracelets. Please add one half inch to your normal wrist size to accommodate the size of the beads comfortably.